Takaakira 'Taka' Goto - Guitar, Tamaki - Bass and Piano, Yoda - Guitar, Dahm - Drums. 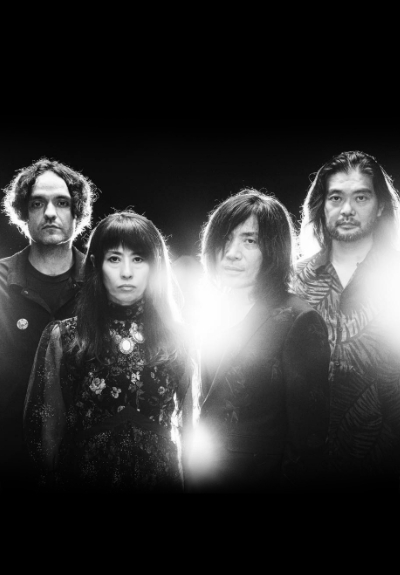 The Tokyo, Japan based 4-piece Instrumental Rock band MONO was originally formed in 1999. Their unique approach of combining moving orchestral arrangements and shoegaze guitar noise is held in extremely high regard; so much so, that the band’s musicianship and the diverse musical palette has eclipsed the Rock genre and exists within its own realm. As British Musical Magazine NME once stated, "this is music for the Gods". A particularly monumental live memory of the band was a special set of shows with a 23-piece orchestra in New York, Tokyo, London and Melbourne. The band has now completed recording their 10th album "Nowhere Now Here", which is scheduled to be released worldwide on January 25, 2019 to coincide with their 20 year anniversary. The album was once again produced by the band's longtime friend Steve Albini at Electrical Audio, Chicago.